When a love is lost, is it possible to make room for another? When a murder at The Cullar Resort brings Gabi Cullar and Chase Winters together, sparks fly and passions ignite. But Gabi still clings to the memory of her dead husband, leaving Chase to wonder if there will every be room in her heart to love another. In a twist of fate, Gabi and Chase come together but it will take some “Divine” intervention before Gabi can ever accept Chase into her heart. Gabi has kept the memory of her husband alive by keeping the resort they opened together running smoothly and successfully. When a murder is discovered all that is threatened. Her Brother sends his friend Chase to watch over her and keep her safe while the investigation is ongoing. Chase finds himself a little more than attracted to the feisty widow, but how can he fight a memory? 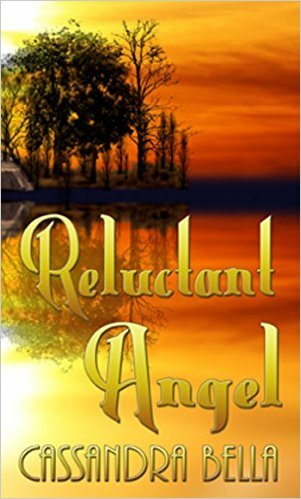 Our reluctant angel is her late husband who finds himself in the unenviable position of helping his wife move on. A touching story of letting go and starting over, with steamy scenes of a budding relationship. Cassandra Bella believes it wasn’t just the fact that she was born the day before Valentine’s that she was fated to write romance. Intrigued by deep emotions that touch the heart and that special spark of falling in love, she enjoys creating stories and characters that leave her readers with a smile on their face and a tear in their eye. Cassandra has been writing for as long as she can remember, and for nearly as long she’s been letting others know. Just look back into her junior high and high school yearbooks – both proclaim “Author” as her career goal. She completed her first book, “Dear Diary” in her grandmother’s family room on a manual typewriter at the age of 12 – that manuscript still holds a place of honor in her home. 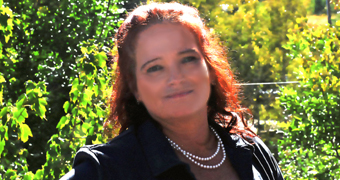 Her current passion for romances stems from her love of stories that touch the heart. Her characters are born in many people, from old friends to grandparents to her “dear, sweet, loving husband.” When it comes to heroes, hers usually have some sort of law enforcement background and their inspiration lies in her father, who made a life-long career of keeping the peace.